Opening times vary depending on the exhibition. If you’re coming by car, be aware that there is limited on-street parking at the gallery (Usually you’ll get a park nearby in the day and it’s 1 hour parking, free/unmetered. Forbes Street has 4 hour parking but it’s metered). There is also the Domain Car Park a short walk away, which charges normal city rates during the day, and $8 after 5pm. They close at 9pm. You can take the train to St James or Kings Cross stations (Both CITY stations), both are about 10 minutes walk from the gallery. 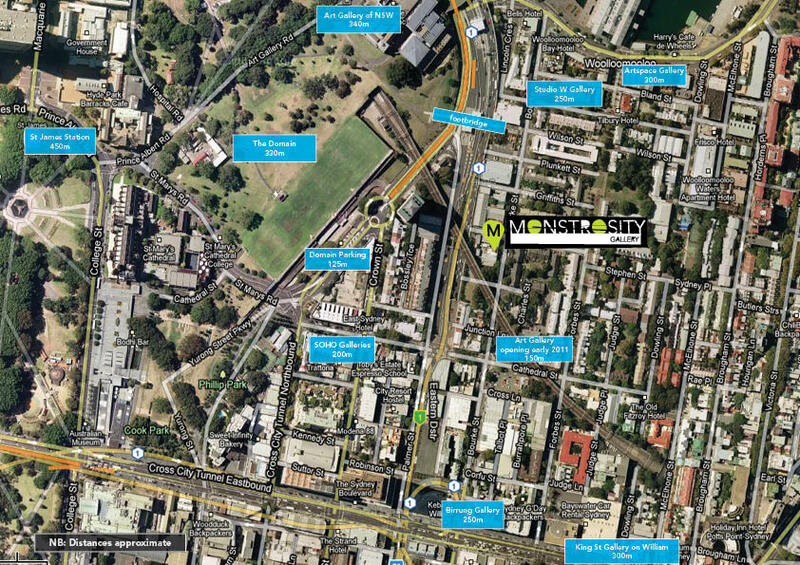 or take the 311 bus from Central, which stops in Bourke Street, a few meters from our door.